i know of 3 real RS's for sale. right now. Real RSs...with the GBP and Euro being quite strong to the USD, could be well worth bringing them back home. 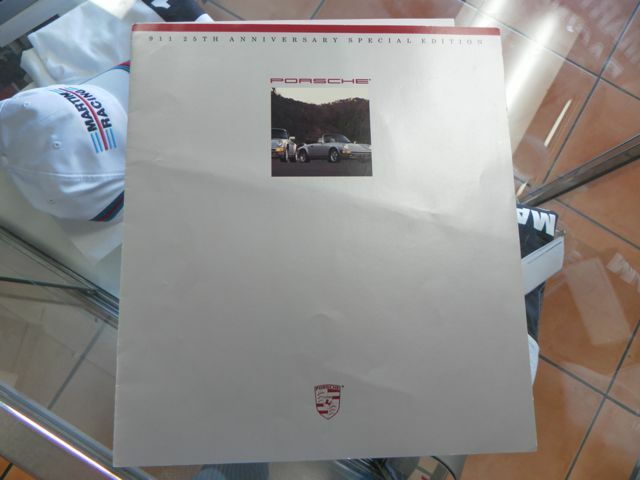 I know someone who might be interested - any idea of the mileage and asking price? 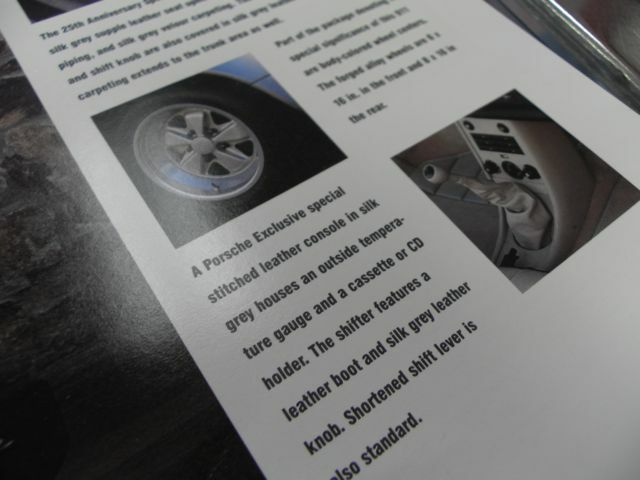 seriously $20k for a coupe manual is a godo deal if you can live with the carfax accident. Here's another cheap one.. $15k for a C2 manual cabrio... 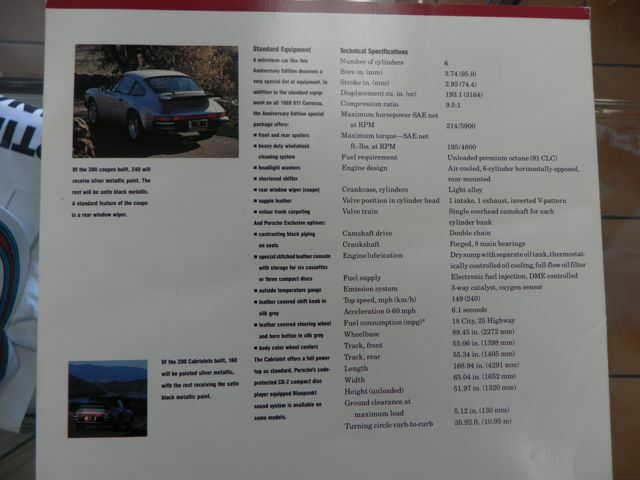 Needs interior and top, not sure how much that is (likely more than the stated 8-10k. not affiliated with any of these! '93 GPW on black C2 5spd w/ 124k miles. 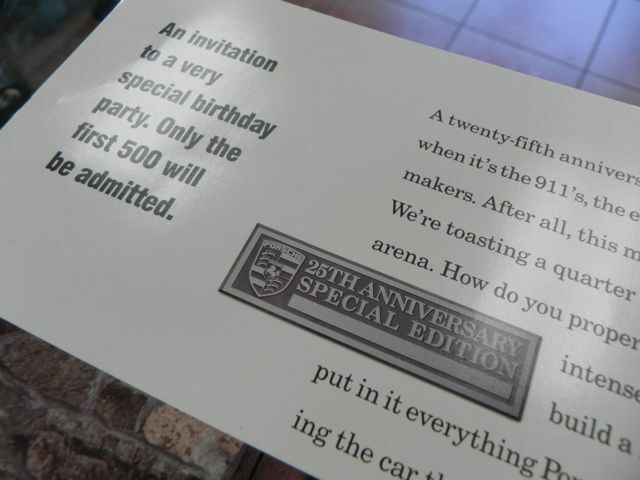 I can't seem to find much info on Option 098 (964 Silver Anniversary for USA). Anyone have a good resource? I do have Streather's book, but it only talks about the Jubilee model. I call BS on the seller, it's just a C4 he is trying to pass as a SA... 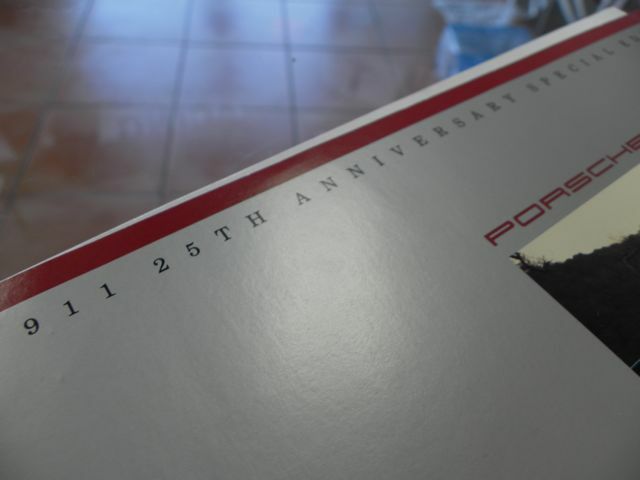 The 1989 Silver Anniversary Edition (not to be confused with the 1988 Commemorative Edition) he references were all based on the 3.2s and not the 964s. 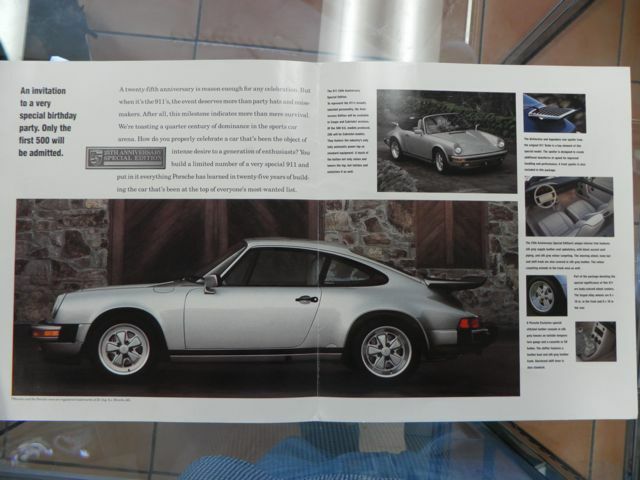 They came with 16" painted Fuchs and all of them had a Silk Grey leather interior, including supple leather seats w/black piping (interior code-97), not the tan interior the ad shows. According to the literature, 300 (U.S.) coupes were built with 240 receiving the Silver Metallic paint code-980, and 60 with Satin Black Metallic paint code 729. 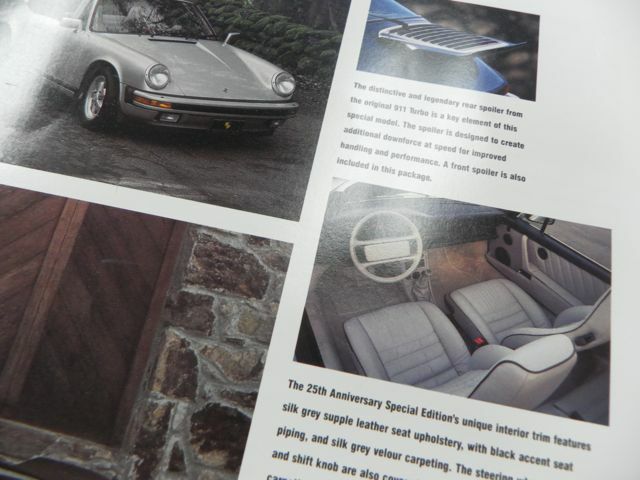 Another 200 (U.S.) cabriolets were also built (60 Silver Metallic and 40 Satin Black Metallic) for a total production of 500 cars for the US market. I've bought a part from him before; it turned out defective, and he took it back no hassle, he's legit.